This poster is fantastic. One of the best of the year. The whole western design with the train between the legs is great. It’s also fitting considering the title chosen for the film. 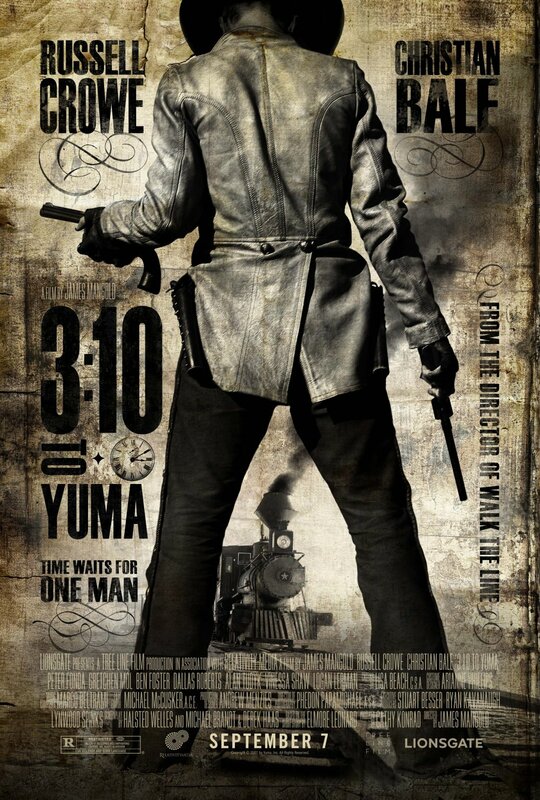 Though I’m not a big Western fan or anything, the modernized title and poster (which contrast the fact that it’s a period piece by nature) really make this movie interesting, if the stars hadn’t already accomplished that. The text treatments on the poster are great, as is the aforementioned beaten/weathered look. I for one, dislike this poster a lot, mainly because it looks like someone took a bunch of brushes in photoshop and layered them on top of the main image. The “old time” feel feels rather fake as do the small accents throughout.
.) You should take part in a contest for one of the best blogs on the web. I will recommend this site!